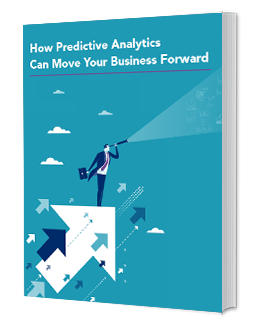 Cloud technology has driven the growth of embedded analytics in business applications, bringing valuable intelligence closer to business users and decision-makers. The term “embedded analytics” can be misleading. It doesn’t mean that business users now have advanced statistical tools. It means that instead of custom built reports and dashboards, business software vendors partner with analytics firms to deliver flexible, high-quality data visualizations directly in business applications. We now have dozens of analytics companies with skilled data scientists and analysts vying for a rapidly growing market. For the past couple of years, we have seen some predictions about how the “citizen data scientist” will soon be operating in the middle ground between the data scientist and the business user. Gartner predicts that those in the middle will produce more analysis than data scientists by 2019, and as much as 40 percent of data tasks will be automated by 2020. They will create or generate advanced diagnostic, predictive, and prescriptive analytics, but their primary job will not be in analytics. We’re not jumping on that bandwagon without some careful consideration. Two things must happen for citizen data scientists to be a viable solution to the data skills shortage. For people who have been using spreadsheets for data analysis since the 1990s or before, statistical analysis is like putting on an old shoe. It slips on smoothly — not a bit of friction. They can walk miles and feel refreshed and proud of their work. Then, it was the way things were done, and in most businesses, still is. Too often, it is the way things are undone. Consider the way we had managed compensation before we had software for the purpose. Compensation planners provided an Excel template for each manager to use, then we emailed them up the chain for approval. Then, a few hapless souls spent days and weeks aggregating workbooks, correcting errors, and following up on laggards. Managing security in Excel is time-consuming and arduous, and few people knew how to do it. We often had no controls to prevent departments from changing the template for their “special cases.” There was no audit trail. Email delivery meant a slip of the finger could send it anywhere. There is no better tool than a spreadsheet for creating and replicating errors, and many of them can be costly. In April 2012, a “faulty reference” in a formula caused the Utah State Office of Education to undercalculate the cost of running a university by $25 million. TransAlta overpaid $24 million on hedging contracts because of a “cut and paste error,” and in 1995, Fidelity’s Magellan fund underestimated its dividend by $2.6 billion because of a missing minus sign. It’s long past time to stop the chaos, but that is only a starting point. Some educational background in information technology. Studied basic programming in SQL and other languages. Dreams about learning R.
Has both known and unknown knowledge gaps. If he or she could put the family and job on hold and just attend school, would probably be a data scientist in two years. We may be off the mark, but as a working profile, we think we are pretty close. If you just leave them alone, they will find resources and learn. That approach creates an unacceptable risk. Knowing how to apply a statistical model is much different from choosing the appropriate methods for the internal and external environmental factors in a business decision and the available data. And if you leave the learning path to individuals, they will continue to have unknown knowledge gaps that could eventually impact your business. Getting started is easy and free. Analytics vendors, research institutions, and universities everywhere are scrambling to meet the need for data expertise with free courses. IBM’s Big Data University (now Cognitive Classes) has over 400,000 students. We encourage you to take advantage of those resources but guard against the risks of an undirected learning path. 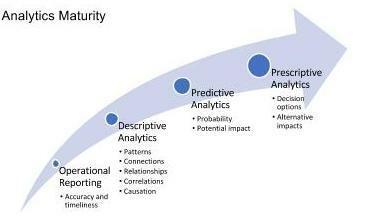 Consider the learning path alongside the organizational analytics maturity model. As your organization needs a solid foundation in operational reporting before it takes on analytics, so also do your budding data experts. They can help you drive effective data management and governance. Think about advancing the training plan just ahead of your organizational development. Make your budding data wizards a part of your data management team. Then build on that foundation to become a data-driven organization. Pixentia is a full-service technology company dedicated to helping clients solve business problems, improve the capability of their people, and achieve better results.